I have largely avoided the Monster Hunter games as the thought of diving into a series that is known for its unique learning curve and (at times) outdated mechanics never appealed to me. That part of my brain that enjoys obsessive loot-gathering, though, has always been intrigued by this style of game. 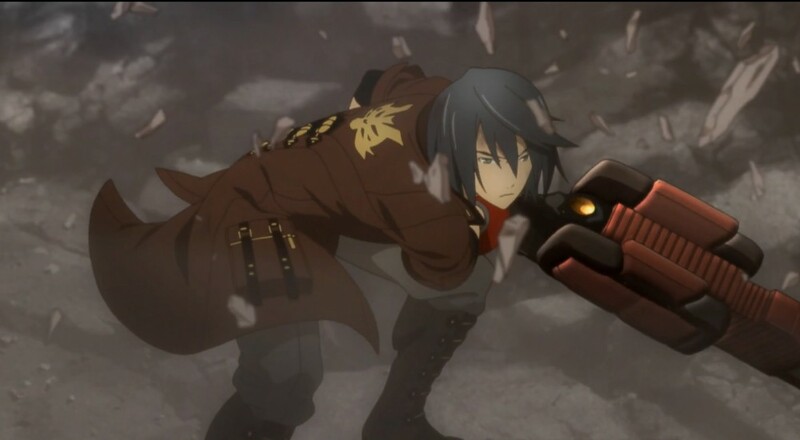 While it may suffer from problems of its own, GOD EATER: Resurrection works well as an entry vector into the world of hunting/crafting action-RPGs. Set in a future where powerful beings, called Aragami, have all but wiped out life on the planet, you are part of a special force tasked with fighting back and bringing the Aragami threat to an end. 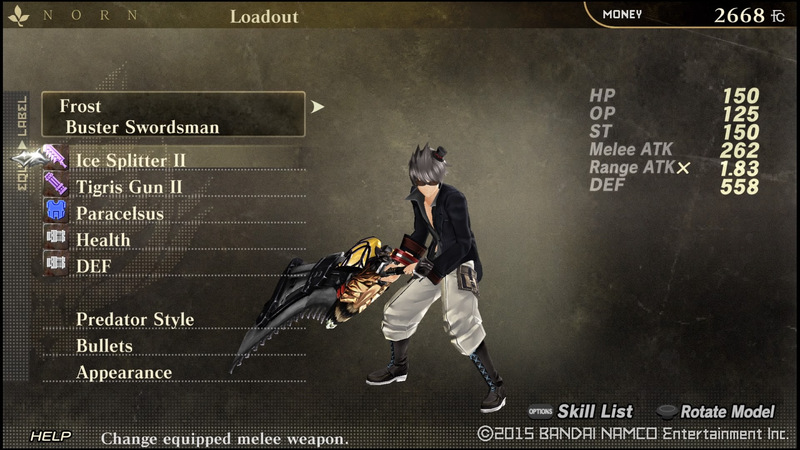 As a “God Eater,” you’re equipped with a special weapon (God Arc) that is infused with some of the same organic matter (Oracle Cells) that comprises the Aragami (hence why you’re able to hurt them). Over the course of the game’s 100 missions, you’ll uncover more about these mysterious organisms and the weapons that you use as the narrative takes you through some themes that will feel all too familiar to any anime fan of the past couple decades. Each of these missions will play out roughly the same. You’ll get some info on what Aragami you’ll be going after this time, gather up the crew (be they human or A.I.) you want to back you up, choose your weapon, gun, and bullets, then head out to slay the target(s). Rinse and repeat until the game is over. It’s worth noting here that Resurrection is a remake of the God Eater Burst title that was released in 2011 for the PSP. Despite the five year difference, many of the pros and cons that Locke highlighted in his review of the title back then are still relevant today, particularly with regards to the monotonous nature of the missions, the welcome break the story provides, the confusing bullet crafting system (though that has gotten a little tweak), and the (at times) clunky controls. However, that doesn’t mean Resurrection is just a high-resolution port. Beyond the obvious graphical improvements, most of the game’s enhancements are found in its underlying systems. The number of weapons from which you can choose, for instance, has been increased from five to nine, which allows you to enjoy a little more variety in your play style. You can also further customize your gear thanks to the addition of a new reward, the “Abandoned God Arc,” a special item you’ll earn by completing missions that are classified as difficulty level four or higher. These allow you to enhance your weapons with new special abilities, like doing more melee damage, or earning more post-mission rewards, in order to make gear that best suits you. Speaking of rewards, the materials you receive for completing a mission are now doled out more frequently than in God Eater Burst, thereby better ensuring you’ll get that rarer drop without having to run the same mission 20 times. The A.I. characters even have support abilities now that can further increase the rewards you receive. It’s a smart move, overall, to streamline the “gathering” portion of the game as it helps cut down that feeling of spending most of your time grinding for gear instead of playing the game. Page created in 1.0629 seconds.